“It is the best investment of my life” said billionaire Mike Novogratz at an April 19 Harvard Business School Club of NY event, where he announced that he holds ten percent of his net worth in cryptocurrencies like Bitcoin​ and Ethereum. 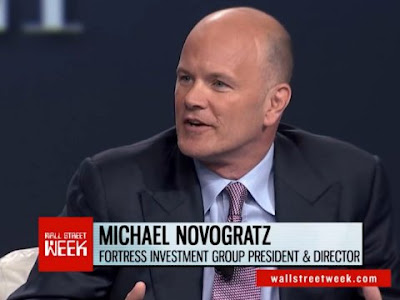 Mike Novogratz was the Chief Investment Officer of the Fortress Macro Fund, and a principal and member of the board of directors of Fortress Investment Group LLC. Novogratz joined Fortress after a decade long tenure at Goldman Sachs. He featured on the Forbes billionaire list in 2008. While clearer revelations on his investment in cryptocurrencies​ have come out now, his interest in cryptocurrencies isn’t new. He has been advocating for Bitcoin as a good investment since 2013.